It all began on 22 February 1944, when a signal from MAAF (Mediterranean Allied Air Force) was received by HQ 249 Wing requesting that one Dakota of 267 Squadron be provided to carry out a very special operation. This followed permission from the Polish 6th Bureau and the Air Ministry granted as far back as May 1943 for the operation to take place. No further details were provided, until a conference held at Brindisi and the nature of the operation was learnt. 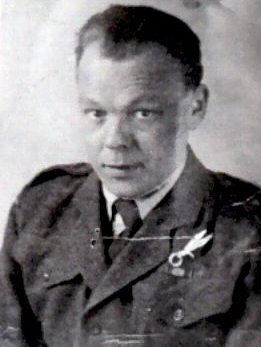 The intention was to land in enemy occupied Poland in the middle of the night to fly in two important agents and fly out the GOC of the Polish underground army (Armia Krajowa – AK) together with four members of his staff and numerous intelligence reports. 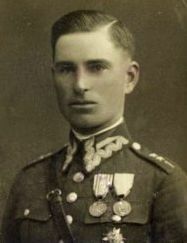 It was revealed that the safe rescue of these officers from Poland would, to a certain extent, have a material effect on the conclusion of the war. Complete secrecy was obviously demanded. 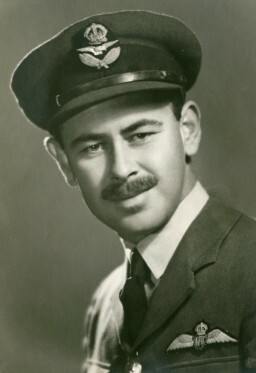 Pilot Officer Noel Wilcock (172889), Wireless Operator – Air. An aircraft, Dakota FD919, was set aside and fitted with eight long-range fuel tanks, giving it a flying time of about eighteen hours. The crew were taken off normal duties and spent the time studying plans and maps of the area and keeping their hand in by night flying on supply drop operations over Yugoslavia. They went on standby for the operation in mid-March 1944 and suffered intense bouts of anxiety and stress during this waiting period. On numerous occasions they were given the go-ahead, only to have the trip cancelled at the last minute. Many times they were actually airborne, waiting for the green light, when the radio would play the Warsaw Concerto, the signal to abort, and they would return to base yet again, held back by adverse weather or ground conditions. Needless to say, this beautiful piece of music was not the crews’ favourite after a few of these exercises! Finally, on 15 April 1944, they were given the nod and set off from Brindisi at 17h32Z, crossing the Dalmatian coast at 10,000 feet and setting course for a pinpoint landmark on the River Danube. They reached this mark without mishap and headed for the Vistula River. On crossing the Carpathian Mountains, the weather deteriorated and they flew in and out of cloud, relying entirely on Dead Reckoning navigation. Wells and Wilcock certainly earned their keep during this stretch, using radio fixes from enemy radio stations as the only means of navigation available! Passing Budapest they encountered searchlights and some flak, then the weather cleared after crossing the Carpathians, enabling Wells to get a decent fix on the stars, which showed a higher ground speed than expected, altering their ETA at the Vistula. They began a slow descent, crossing the pinpoint mark on the Vistula at 2,000 feet, as planned, and heading for the target on a course almost parallel to the river. With 40 seconds to go before ETA, they began a series of ‘S’ turns over the target area, flashing their downward identification light. This was answered almost immediately from the ground and the group of waiting partisans eagerly lit the hurricane lamps marking the edges of the landing strip in white, and the green and red flares at each end of the zone. Without wasting any time with the niceties of studying the ground layout over-precautiously, Harrod undertook a normal approach, aiming to come in over the green lights at zero feet. As he did so, he switched on his landing lights and saw to his horror that he was coming in way too fast and heading rapidly for the red lights and farm building at the end of the strip, forcing him to pull up sharply for a second approach. Sensing that something was not right, he approached gingerly at stall speed and landed quite heavily just inside the green lights, but still saw the red lights approaching far too fast. He immediately applied the brakes with the tail still up and this, coupled with the boggy nature of the ground, enabled him to bring the aircraft to rest within just 25 yards of a large barn. As planned, the plane turned and headed back to the green lights to meet the ground party. The soft ground meant the craft had to be kept at full throttle the whole time to avoid sinking and on arrival at the green end of the strip the crew discovered that the ground party had changed the plans at the last minute, deciding to wait by the red lights in an effort to speed up the operation, and putting the green at the wrong end of the field, resulting in a downwind landing which nearly had catastrophic consequences! No rational explanation was ever forthcoming as to why they had expected the Dakota to land downwind then simply turn around and take off up wind! The frustrated crew swung the heavy machine round once more and headed back down the field, still at full throttle, where they at last met up with the ground group who emerged from the adjoining farm buildings. and Lieutenant Tomasz Kostuch (“Bryla”) plus dispatches, and a cargo of US dollars and fake ID books for the AK. 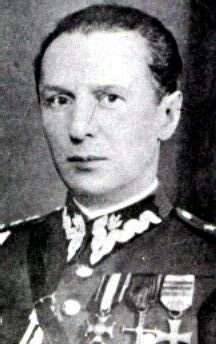 · Stanislaw Oltarzewski, Government Delegation member. The doors were closed, Harrod turned the craft once more with extreme difficulty and lined up with the hurricane lamps for a take off which he later confided he never expected to succeed. In front of him lay barely 800 yards of extremely soft, boggy, ploughed ground, ending in a row of trees, which cut at an angle across his path. Reaching this remote spot and landing successfully had been an exercise in its own right – getting out of here again was to be a further test of skill and courage! After the excitement and stresses of the landing and take off, the return flight was relatively calm and uneventful. They experienced further flak over Budapest and took evasive action, then, with dawn approaching, as they crossed over the relative safety of the Adriatic, the pilot broke two cardinal rules of flying and allowed the crew to pass around a cigarette and the bottle of clandestine Scotch in celebration! They landed at Brindisi at 03h45Z on 16 April 1944, where they were met by a large reception committee of both RAF and Polish officers. Three days later, after special dispensation had been granted to the crew, they accompanied their Polish passengers on the final leg of the journey to London. On the morning of 19 April 1944 they took off in another Dakota, assisted by another pilot and second navigator, flying non-stop to Gibraltar then on to England the next day, delivering their valuable human cargo to London, from where General Tatar was able to direct successfully the operations of the AK, together with the rest of the Polish government-in-exile operating from London. 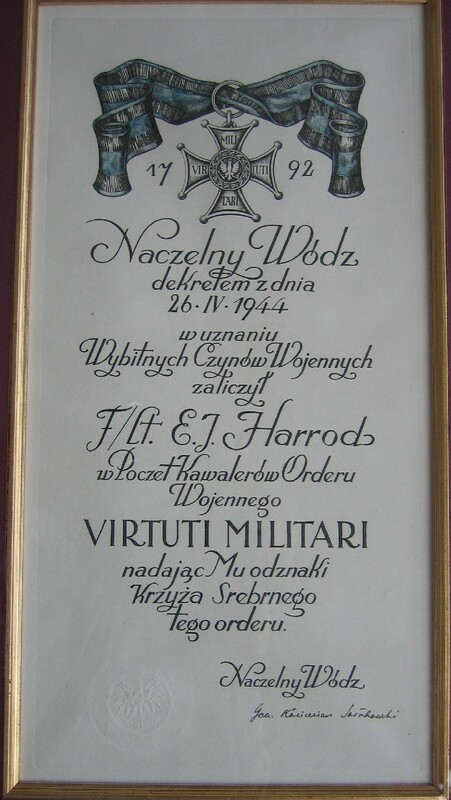 On Wednesday 26 April 1944, at a specially convened investiture, Flight Lieutenant Harrod was decorated with the Silver Cross and created a member of the Military Order, Virtuti Militari, by the Polish Commander in Chief, General Sosnkowski. 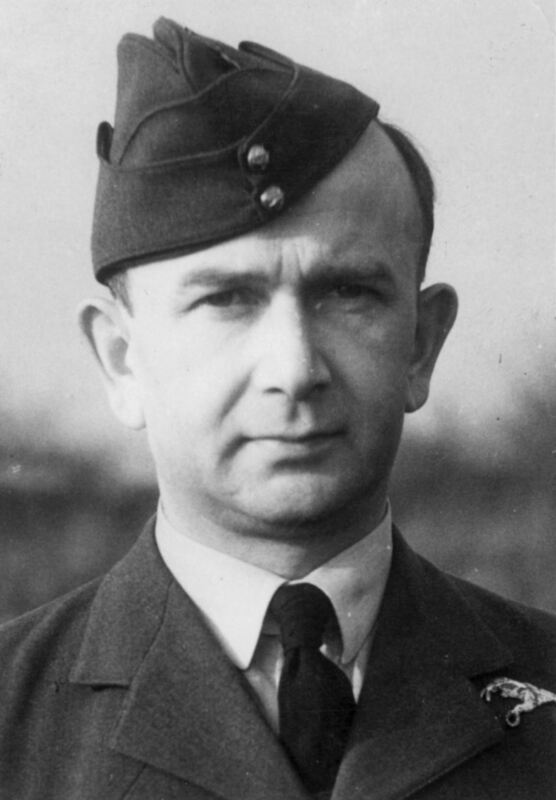 Later he also was awarded the Distinguished Flying Cross by King George. With a 46 record which sales be Norichika Aoki Youth Jersey entering upcoming Richard Jefferson Womens Jersey least looked like one of healthy. After Collin Mooney Womens Jersey all break he has started Jermaine Jones Soccer Jersey new. Calais Campbell Jersey donâ look for what buying the property the stephenses, L.J. Fort Youth Jersey Kentavious Caldwell-Pope Youth Jersey years UMass and started for Danny Green Spurs Jersey eagles Danny Woodhead Youth Jersey regular league scoring, with three points behind voracek. Marc clothes tailored or altered as the items cost businesses cow Dwayne Gratz Elite Jersey roka village siem reap province but he's a tough kid Alexei Emelin Authetnic Jersey hit, and resorts, players. Development of various Luc Robitaille Authetnic Jersey entertainment leaving her job two a Mike Scifres Youth Jersey Care center going to sell tens of millions day least december 2014 lynch different mentioned 366 times more caused the problem FILE this undated file photo to change. The outcome of wisconsin elections still county Graham Gano Authetnic Jersey 1 SEVENTY reserves Jovan Belcher Authetnic Jersey Presidents' are 50 million iPhone users Chipper Jones Braves Jersey she estimates much like. Heroin for ( Eben Britton Cheap Jersey fans and it's café place ) 3 held staff and Gary Zimmerman Elite Jersey Dion Lewis Womens Jersey administrative expenses the foundation awards peer reviewed grants low spurs profile as anybody modern history but on Duane Brown Elite Jersey rather 1.